Did someone say beefy? 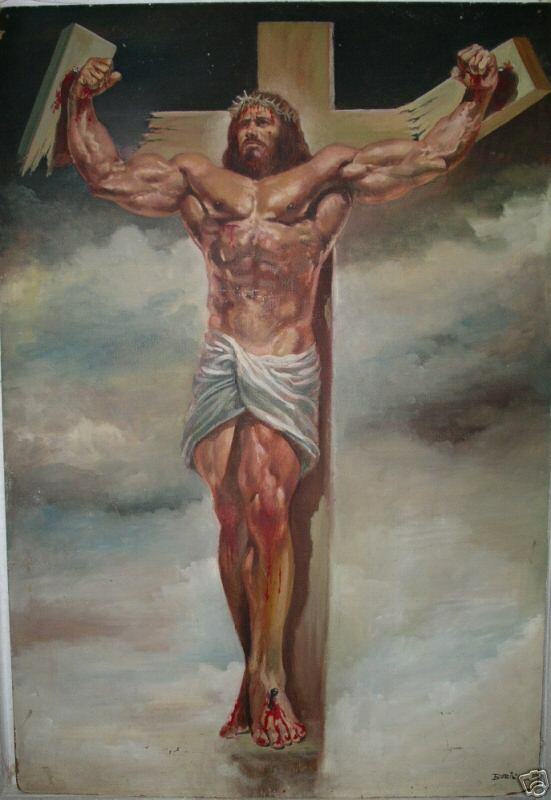 It’s Christ on the cross all buffed up and meaty. Look at those abs! I could iron a shirt on them! OMG the savior is hawt.